Hello! It's time for another Mojo Monday sketch (#291)! It's Round or Square week. Today's sketches are brought to us by Julee. My sentiment is from Fabulous You. I used this round card in my Project Life Week 11 spread below. 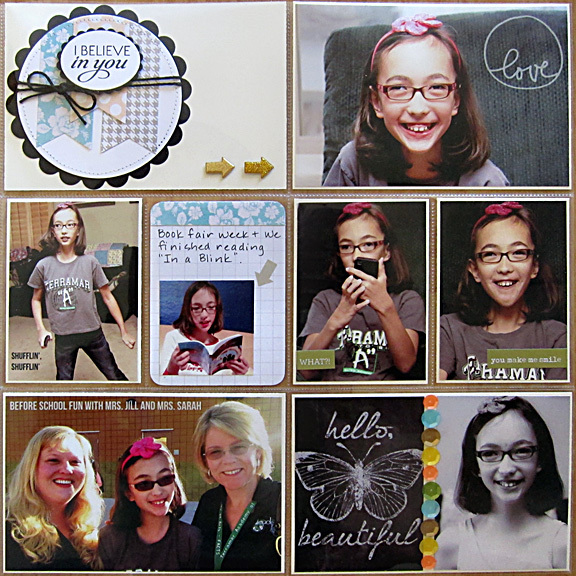 I added a white border to the edges of my photos and used more letter stickers this week. Accessories: Oval and Scalloped Oval, Circle and Scalloped Circle Nestabilities (Spellbinders), Die-namics: Fishtail Flags Layer STAX (MFT), Hemp cord, Foam tape, Thread, Sewing machine. Stephanie, this works so well with your project. Love this sweet title card! Your pages are so beautifully done! 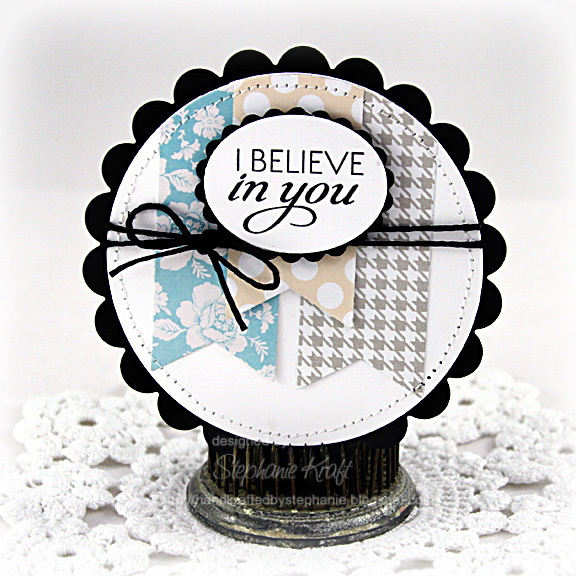 Love how you used the black on your card and such a fabulous sentiment to showcase :) Great layouts too!! Love the simplicity and colors, beautiful. Such a pretty card Stephanie! Love the scalloped circular shape and fishtail banners! 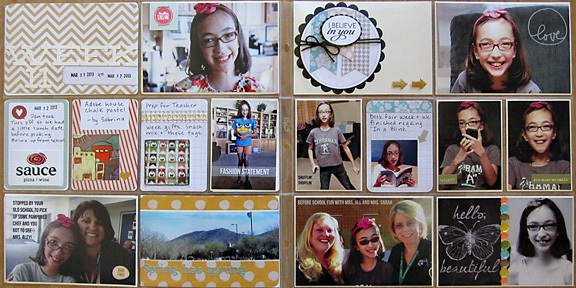 Awesome project life pages as always! FULL of soooo much detail and beautiful photos! Such a pretty card and love the pictures of Sabrina!